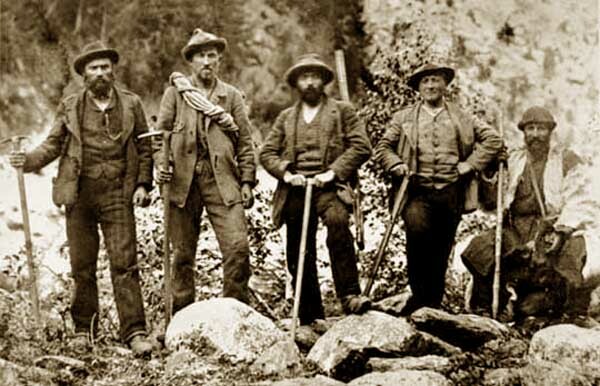 In 1889-1896 the famous mountain-climber and pioneer of photography, Count Vittorio Sella made a number of climbs in the Caucasus Mountains in the Svaneti region of Georgia. 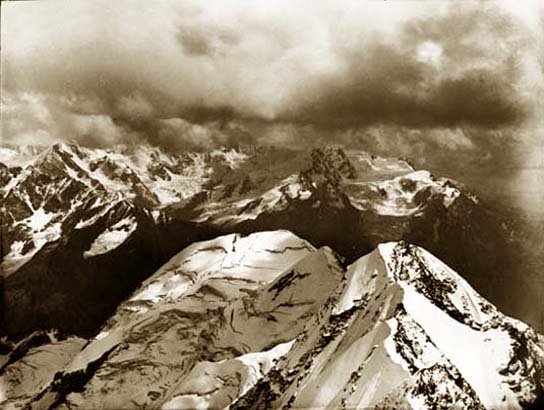 Over his lifetime, Sella photographed many of the major mountain ranges all over the world and his pictures were exhibited by the Royal Geographical Society. In his earliest climbs he carried a 12 x 15 inch large-format camera, coating each of the glass ‘wet plates’, prior to exposure. 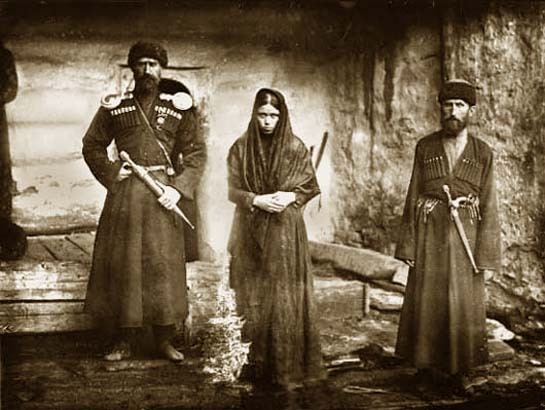 His travels took him on expeditions to the Caucasus in 1889, 1890, and 1896. 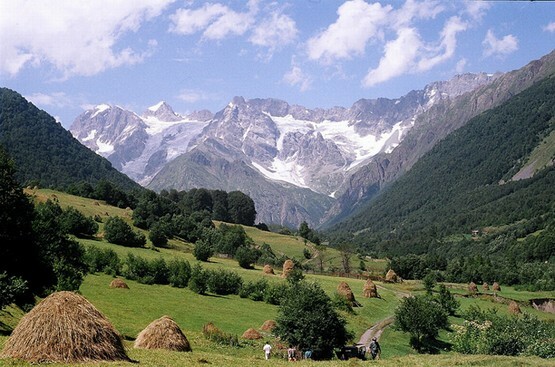 One of the mountain peaks in the Greater Caucasus Mountains is named after him. 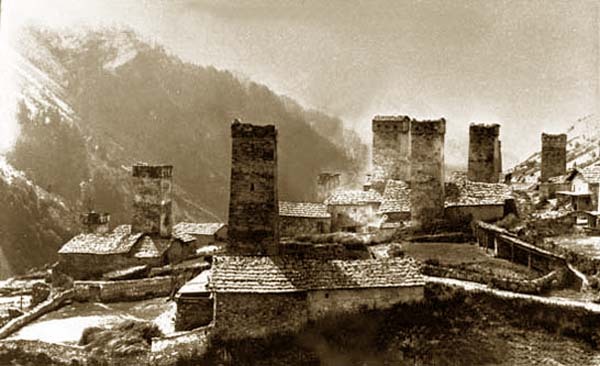 The photographs that Sella took on his travels encompass not only the spectacular mountains but also the people he encountered and their customs. 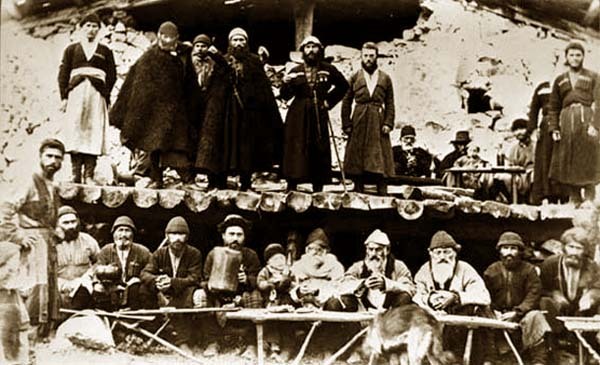 In 1890 the Royal Geographical Society awarded Sella their prestigious Murchison prize in recognition of the photographs he had taken in the Caucasus. 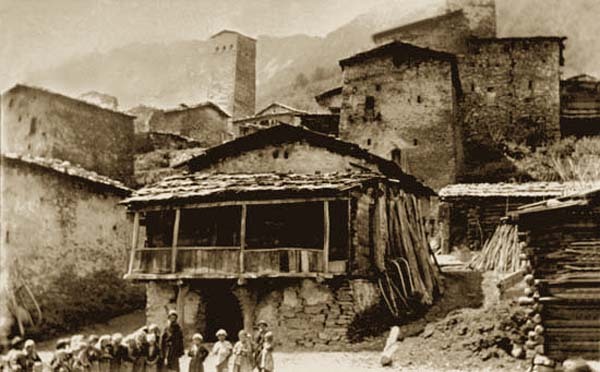 The famous documentary film director Rezo Tabukashvili found and brought to Tbilisi the collection of pictures taken by Sella in Svaneti and Racha. wow, those are some interesting photos…. like the one of the wake has a dog in it…. and I couldn’t help but notice the difference in body language between the men and woman in the last photo. So interesting. Such great photographs. Particularly love the first one! Thank you. You are absolutely right, ღები is in Racha. I will amend the caption.